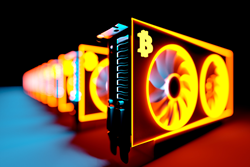 Many operations are unprepared for the power, space and cooling needs of Cryptocurrency Mining, often resulting in shortened equipment lifespan and higher long-term costs. CEG is addressing this with environments that are custom-built within existing space. As the number of mid-to-large sized cryptocurrency mining operations expand or as large mining colocation companies become more prevalent, they all seem to realize that poorly planned capacity management directly affects long-term success. Power – and lots of it – is a necessity for the massive amounts of compute these operations generate. Subsequently, the cost of power consumption needs to be overcome by the value of the cryptocurrency being mined in order to become profitable. What is often overlooked at startup are the air flow requirements necessary to effectively deliver the cool air and reject the massive amount of heat generated by the mining hardware. Critical Environments Group is one of only a handful of companies that are bringing this to the attention of new entrants, as well as providing air flow management solutions to extend the lifespan of equipment in various sizes used in mining operations. CEG is a leading provider of data center and critical environment infrastructure optimization solutions. CEG recently addressed this with a tech company that started “mining on the side.” Their mining rigs were housed in a spare office and consisted of cobbled-together racks originally bought online. With material typically used for data center containment, CEG developed a solution that was unique to cryptocurrency – the ability to house the motherboard, GPUs, power supplies; just the right spacing between graphic cards to effectively remove heat; easy integration of hardware; scalability; and five-row AC units correctly sized for the room and heat load. With this solution, the company expects to extend the lifespan of their mining hardware, which will reduce the long-term cost of mining and allow for a repeatable deployment scheme as they scale.